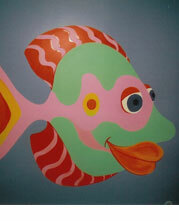 Peggy Fishman M.D. 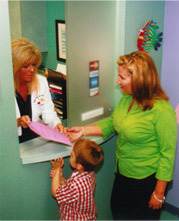 has practiced pediatric ophthalmology in the Kentuckiana area for 22 years. She received her medical degree from the Medical College of Georgia in 1983 and completed her residency in Ophthalmology at Illinois Eye and Ear Infirmary in Chicago. 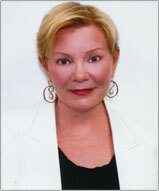 She is well known and highly recommended as patients travel for long distances for treatment and evaluations. Her fellowship in Pediatric Ophthalmology/ Strabismus was at The Johns Hopkins Hospital in Baltimore and she was Director of the Pediatric Ophthalmology/ Strabismus services at University of Louisville for almost 10 years. Dr. Fishman provides the best care for her patients. Rest assured your child will receive compassionate, quality eye care in a warm, kid-friendly environment. Kelly Borgman, O.D. is a pediatric optometrist who joined Eye Care For Kids in August 2009. Dr. Borgman has extensive experience in management of strabismus, amblyopia and ocular diseases. She also provides comprehensive eye exams including kindergarten eye examinations. She is thorough but kind and gentle in the care she gives to children. Before joining the practice she worked with another pediatric ophthalmology practice in Baltimore, Maryland. 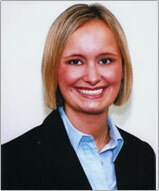 Dr. Borgman received her Doctor of Optometry from New England College of Optometry in 2007. She attended undergraduate studies at Michigan State University. If you would like to schedule an appointment, please call us at (502)451-5437.
in check-in and check-out of patients.